RES Americas is part of U.K.-based Renewable Energy Systems, one of the world’s leading renewable energy developers and a leader in the global wind industry for two decades. Since 1997, RES Americas has been a leader in the U.S. wind industry, either developing or constructing more than 12 percent of the country’s installed wind energy capacity. “We look forward to building our equipment supply relationship with GE, and view it as critical to achieving our goals for expanded ownership of wind projects in the US,” said Craig Mataczynski, President of RES Americas. The latest agreement with RES reinforces GE’s leadership role in the rapidly growing wind industry. Since 2004, GE has achieved a 500 percent increase in wind turbine production, and its wind business revenues exceeded $4.5 billion in 2007. According to the American Wind Energy Association, over the past two years, GE has supplied wind turbines representing nearly half of the new wind capacity across the United States. GE’s 1.5-megawatt wind turbine is among the most widely used machines in the global wind industry, with more than 8,000 installed around the world. GE’s wind turbine technology is a key element of ecomagination, the GE corporate-wide initiative to address challenges such as the need for cleaner, more efficient sources of energy, reduced emissions and abundant sources of clean water. GE Energy (www.ge.com/energy) is one of the world's leading suppliers of power generation and energy delivery technologies, with 2007 revenue of $22 billion. Based in Atlanta, Georgia, GE Energy works in all areas of the energy industry including coal, oil, natural gas and nuclear energy; renewable resources such as water, wind, solar and biogas; and other alternative fuels. Numerous GE Energy products are certified under ecomagination, GE’s corporate-wide initiative to aggressively bring to market new technologies that will help customers meet pressing environmental challenges. With wind turbine design, manufacturing and assembly facilities in Germany, Spain, China, Canada and the United States, GE Energy is among the leading providers of wind energy products and support services ranging from commercial wind turbines and grid integration products to project development assistance and operation and maintenance. The company's knowledge base includes the development and/or installation of more than 8,400 wind turbines with a total rated output of more than 11,300 megawatts. Renewable Energy Systems Americas (RES-Americas) has been active in the US market since 1997 and has had a role in developing or constructing more than 12% of the operating wind projects in the United States and greater than 20% of the installed wind capacity in the state of Texas. RES-Americas corporate office is located in Austin, Texas, with regional offices located in Portland, OR, Minneapolis, MN, and Montreal, Quebec, Canada. RES-Americas continue to seek new locations for wind projects as well as opportunities to participate in other forms of renewable energy. For more information, please visit www.res-americas.com. ABU DHABI, United Arab Emirates, Feb. 22 2008 -- Masdar announced today that it has chosen Chicago architecture firm Adrian Smith + Gordon Gill Architecture (AS+GG) to design its headquarters in Abu Dhabi's Masdar City, the world's first zero-carbon, zero-waste city fully powered by renewable energy. The headquarters will be the world's first large-scale, mixed-use "positive energy" building, producing more energy than it consumes. In addition to being the location of Masdar Headquarters, the building will accommodate private residences and 'early bird' businesses starting up in the city. Dr. Sultan Al Jaber, CEO of Masdar, said AS+GG is internationally recognized for high-performance, energy-efficient and sustainable architecture. "We know Adrian Smith + Gordon Gill Architecture share our vision for Masdar's headquarters. This building is at the heart of Masdar City, and its net positive energy design and new innovations will reflect our mission of developing sustainable future energy solutions." To learn more about Masdar, please visit www.masdaruae.com. DUBLIN, Ireland--February 25th, 2008 -Research and Markets (http://www.researchandmarkets.com/reports/c83940) has announced the addition of "Analyzing Renewable Energy in Brazil" to their offering. Brazil’s energy industry is at a crossroads. After a decade of reforms and privatizations, Brazil is reevaluating its plans to meet growing energy needs following a crippling power shortage that rocked the nation in 2001 and a change of government on January 1, 2003. The country’s energy policies of the last decade have been highly successful. Brazil has transformed itself from a major oil importer whose rising imports from the Middle East were leaving the country with crippling deficits to an expected net exporter of crude oil before the end of this decade. But the country’s energy use is expected to continue to climb in the coming years, and without further restructuring of its energy sector, Brazil may have difficulty ensuring that sufficient investment can be made to continue to meet the rising need for fuel and electricity. In particular, Brazil needs to address the future status of state oil giant Petróleo Brasilero S.A. (Petrobras), whose pervasive energy sector monopoly is hindering the development of competitive markets and discouraging needed private investment. Approximately twenty million Brazilians living in remote communities do not have access to reliable electrical power. While the majority of these underserved reside in Brazil’s Northeast, the remainder dwell all over the country -- even in the well-developed states of the South and Southeast regions. Recent economic analyses indicate that these indigenous energy sources can provide cost-effective and environmentally-sound alternatives to fossil fuel-based generation. With a potential $25 billion renewable energy market, business opportunities are limitless. However, government resources alone cannot meet the demand for off-grid energy, and those resources that are currently available support highly-subsidized programs. We present a focus on the Renewable Energy Industry in Brazil in its report - Analyzing Renewable Energy in Brazil. The report is a complete analysis of the various sectors of renewable energy in Brazil. Starting with an analysis of the overall business environment in Brazil, the report analyzes the following renewable commodities: small hydro power, biomass, solar, and wind energy. Brazil’s environment for the development of renewable energy is also discussed in details in the report. Regulatory frameworks, government incentives, government programs promoting the use of renewable energy, etc., are all described in the report. A comprehensive overview of the Brazilian electric power industry is included to indicate the rising demand for energy in the country and how Brazil is planning to meet these requirements. A brief profile of the global energy industry and a profile of the Brazilian energy industry are also included to further enhance the reader’s understanding of the renewable energy market in Brazil. Major industry players such as Electrobras, Petrobras, Copersucar, etc., are also profiled in the Aruvian’s Analyzing Renewable Energy in Brazil. "Addressing Climate Change: The United Nations and the World at Work ". United Nations General Assembly President Srgjan Kerim convened on 11 and 12 February 2008, at UN Headquarters in New York, a thematic debate entitled "Addressing Climate Change: The United Nations and the World at Work ". On 12 and 13 February 2008 there was a discussion open to all in which Member States made statements. Carbon NeutralThe thematic debate on climate change is carbon neutral. Over the two day period, the carbon dioxide emissions of the United Nations Headquarters conference venue and the emissions from air travel to bring panelists, special guests, heads of state and government, ministers, and representatives of specially invited NGOs to the debate, have been off-set. This was achieved by investing in a biomass fuel project in Andhra Pradesh, India. The project reduces carbon emissions by displacing fossil-based power generation with renewable energy from agricultural waste that would otherwise rot or burn producing carbon dioxide or methane emissions. In addition to providing power stability to the electric grid and help reduce the ever-increasing demand and supply gap of electricity in the region, this high quality renewable energy project provides significant local social, economic and environmental benefits. Further details on carbon offsetting methodology and the carbon offset project can be found on the information note. a leading investor news and research portal for the renewable energy sector within Investorideas.com, presents a sector close-up on solar stocks. First Solar was the bright star of the sector, leading solar stocks on a rally reminding investors of the performance and gains of 2007. Renewable Energy Stocks solar expert, J Peter Lynch, commented, "First Solar's Q4 07 announcement today dramatically exceeded the street's general consensus resulting in an 20% gain in the stock which was oversold technically in the short term." Mr. Lynch went on to say, "More importantly their announcement of full scale production and the resultant drop in cost per watt showed investors encouraging signs of PV technology reaching grid parity in the not too distant future and opening up an even more promising future for solar companies worldwide." First Solar, Inc.(Market, News) beat the street and rewarded investors with a $52.90 (30.13%) gain with earnings of $62.9 million, 77 cents per share, compared with $8 million, or 12 cents per share, in the year-ago quarter. The rally continued in after market trading with additional gains. Revenues for the fiscal year ended December 29, 2007 were $504.0 million, up from $135.0 million in fiscal year 2006. According to the company's press release, quoting Michael J. Ahearn, Chief Executive Officer of First Solar, "During the fourth quarter of 2007 we benefited from the full capacity and economies of scale of our Frankfurt/Oder plant. This combined with continued throughput and conversion efficiency gains afforded us strong operating leverage and decreased our manufacturing cost per watt by 12% year over year to $1.12 per watt in the fourth quarter of 2007, further solidifying our cost leadership position in the industry." Clear Skies Solar, Inc. (OTC BB:CSKH.OB ) had a daily gain of 5.71%. According to Ezra Green, “FSLR earnings are further proof that the Solar sector is viable AND here to stay. We at CSKH are committed to the growth of solar energy by introducing new technologies and innovative methods of integrating solar technology into every sector of the commercial & industrial arena, we applaud their success." Akeena Solar Inc. (Market, News ) closed up 5.56%. Evergreen Solar Inc (Market, News) shares were up 1.23 (12.17%) and another 2.20% in after market trading. LDK Solar ADR (Market, News) had gains of $2.12 (6.32%). Canadian Solar Inc. (Market, News) radiated, up $2.60 (12.87%). China Sunergy Company Ltd. (Market, News) was another bright star up 6.87%. SunPower Corporation (Market, News ) followed the pack with an $8.82 (12.37%) gain. Yingli Green Energy Holding Company Limited (Market, News) rallied up 16.6 %. "The solar industry is well on its way towards attaining a significant presence within the broader electric power industry, and as evidenced by the rise in reported revenues by solar manufacturers, is poised for continued strong growth over the foreseeable future," stated Tom Djokovich, CEO of XsunX, Inc.(OTCBB:XSNX). "Grid parity, supported by a global drive to reduce green house gases, government incentives, and aggressive corporate cost-cutting plans, should be attained within five years and drive further impressive solar growth. In my opinion the sky's the limit for solar's future. We're very excited about leveraging our experience with amorphous thin-films to build and operate a module manufacturing facility and begin delivering much needed product into this market in early 2009," concluded Djokovich. Investorideas.com and RenewableEnergyStocks.com will be hosting an online investor conference, March 21, 2008, giving investors free online access to industry and investing perspective in the greentech sector. Featured Showcase Solar Company: Clear Skies Solar, Inc. (OTC BB:CSKH.OB ) through its wholly owned subsidiary, Clear Skies Group, Inc., provides full-service renewable energy solutions to commercial, industrial, and agricultural clients across the country. CSG was incorporated in 2003 and launched formal operations in 2005. During that time period, CSG developed its proprietary systems, obtained licenses and certifications, and acquired technologies that could maximize the impact of its construction expertise on the renewable energy sector. CSG has become one of the premier solar electric installation companies in the country. More info can be found on the Investorideas.com Company Showcase, or the company website at www.clearskiesgroup.com. Disclaimer: Our sites do not make recommendations. Nothing on our sites should be construed as an offer or solicitation to buy or sell products or securities. We attempt to research thoroughly, but we offer no guarantees as to the accuracy of information presented. All Information relating to featured companies is sourced from public documents and/ or the company and is not the opinion of our web sites. This site is currently compensated by featured companies, news submissions and online advertising. XsunX and Clear Skies Holdings compensate the website $5000 per month. ABU DHABI, United Arab Emirates, Feb. 9 2008 - Abu Dhabi today broke ground on Masdar City, the world's first zero-carbon, zero-waste, car- free city. The global milestone event was marked by the laying of a virtual cornerstone by His Highness General Sheikh Mohammed bin Zayed Al Nahyan, Crown Prince of Abu Dhabi and Deputy Supreme Commander of the UAE Armed Forces, and a visually stunning production depicting life in the city. In conjunction with the groundbreaking, Masdar CEO Dr. Sultan Al Jaber announced a total development budget for the city of $22 billion. Of that investment total, Masdar ("the source" in Arabic) will contribute $4 billion to develop the city's infrastructure. The remaining $18 billion will come through direct investments and the creation of various financial instruments to raise needed capital. An essential driver for the development of the city is carbon finance. Carbon emissions reduced by Masdar City will be monetized under the Kyoto Protocol's Clean Development Mechanism. In addition to full-time residents, Masdar City will seek to attract and encourage collaboration between experts in sustainable transportation; waste management; water and wastewater conservation; green construction, buildings and industrial materials; recycling; biodiversity; climate change, renewable energy and green financial institutions. Masdar will maximize the benefits of sustainable technologies, such as photovoltaic cells and concentrated solar power, through an integrated planning and design approach. By implementing these technologies, Masdar City will save the equivalent of more than US $2 billion in oil over the next 25 years, based on today's energy prices. The city will also create more than 70,000 jobs and will add more than two percent to Abu Dhabi's annual GDP. "We are creating a city where residents and commuters will live the highest quality of life with the lowest environmental footprint," said Dr. Al Jaber. "Masdar City will become the world's hub for future energy. By taking sustainable development and living to a new level, it will lead the world in understanding how all future cities should be built." -- Landfill area severely diminished; a city of this size would have required millions of square meters of landfill area; Masdar City will need virtually no landfill area. The first step in the city's seven-phase plan is the development of the Masdar Institute of Science and Technology (MIST), the world's first graduate university dedicated to renewable energy. Developed in collaboration with MIT and scheduled to open in 2009, MIST will maintain a body of students and professors focused on developing the next generation of solutions to the world's growing dependence on fossil fuels. The six-square kilometre district is designed by renowned architecture firm Foster + Partners and set to be completed in 2016 in conjunction with Abu Dhabi's 2030 Development Plan. It will eventually grow to 1,500 businesses and 50,000 residents and will be home to international business and top minds in the field of sustainable and alternative energy. Of this, 30 percent will be zoned for housing; 24 percent for the business and research district; 13 percent for commercial purposes, including light manufacturing; 6 percent for the MIST; 19 percent for service and transportation; and 8 percent for civic and cultural pursuits. Masdar City is one of the flagship projects of the One Planet Living(TM) programme -- a global initiative launched by WWF (also known as the World Wide Fund for Nature and the World Wildlife Fund). One Planet Living(TM) aims to prove that it is possible to live within ecological limits and still improve the quality of people's lives. One Planet Living(TM) communities, such as Masdar, aim to put the principles of sustainability into practice, and Masdar City exceeds these principles. Masdar City will be the home of the Masdar Initiative, (www.masdaruae.com) Abu Dhabi's multi-faceted, multi-billion dollar investment in the development and commercialization of innovative technologies in renewable, alternative and sustainable energies as well as sustainable design. In January 2008, Abu Dhabi announced it will invest $15 billion in Masdar, the largest single government investment of its kind. The groundbreaking ceremony's electricity needs and carbon emissions were entirely offset by solar power reserves produced by Masdar's photovoltaic testing facilities. Since it began producing power for the national grid in December 2007, the facility has generated more than 5,500 kilowatt hours of electricity and saved more than four tons of CO2. POINT ROBERTS, WA and DELTA, BC – January 25, 2008 www.RenewableEnergyStocks.com, a leading investor news and research portal for the renewable energy sector within Investorideas.com, presents a sector close- up on solar stocks. With the recent sell- off in the markets in general, solar stocks also took a major hit, loosing significant gains made in 2007. Yesterday’s trading in solar leaders gave investors renewed optimism and faith in the long term prospects for the sector. Most renewable energy analysts think the long term outlook is bullish and investors should look at this as a selective buying opportunity. Another analyst, Pavel Molchanov, from Raymond James, noted earlier this week ,” While we clearly do not rule out the possibility of further volatility, we would encourage investors to think long-term, ride out the current storm, and use this as an opportunity to accumulate shares." Akeena Solar Inc. (Market, News ) closed at $8.13, up $1.08 on the day and showed further gains in after market trading. Evergreen Solar Inc (Market, News) shares were up only $ 0.19 on the day but showed a 5.2% gain in after market trading. First Solar, Inc. (Market, News), gave investors a $6.72 upside during market hours, followed by another 2.65% gain after hours. LDK Solar ADR (Market, News) was up 2.64 (7.55%) as of the market close. Canadian Solar Inc. (Market, News) posted gains of $1.64, up 9.36%. SunPower Corporation (Market, News ) broke the daily trend with the stock down $5.04 (6.79%) during market trading, but showing gains after hours. The stock was under pressure on the news of a first-quarter adjusted profit outlook. Featured Showcase Solar Company: Clear Skies Holdings, Inc. (OTCBB: CSKH) through its wholly-owned subsidiary, Clear Skies Group, Inc. (“CSG”) provides full service renewable energy solutions to commercial, industrial, and agricultural clients across the United States. CSG’s combination of proprietary technology and high-tech solutions with construction expertise has enabled CSG to become one of the nation’s premier solar electric installation companies. More info can be found on the Investorideas.com Company Showcase, or the company website at www.clearskiesgroup.com. Disclaimer: Our sites do not make recommendations. Nothing on our sites should be construed as an offer or solicitation to buy or sell products or securities. We attempt to research thoroughly, but we offer no guarantees as to the accuracy of information presented. All Information relating to featured companies is sourced from public documents and/ or the company and is not the opinion of our web sites. This site is currently compensated by featured companies, news submissions and online advertising. * XsunX and Clear Skies Holdings compensate the website $5000 per month. POINT ROBERTS, WA and DELTA, BC---Feb 12, 2008 -- www.InvestorIdeas.com and Renewableenergystocks.com, global investor and industry Greentech portals, update the list of presenters for the 2008 Investorideas.com Global Greentech Online Investor Conference, March 21, 2008. The online conference themed: "Insight into Global Green Investing Trends and Opportunities in Solar, Wind, Biofuel, Green Transportation, and Water," proudly features some of the most well-respected industry leaders and investment minds in the sector today. Long-time environmentalist Mary D. Nichols, Chairman, California Air Resources Board, will be one of the presenting speakers. Mary D. Nichols, JD, was appointed Chair of the California Air Resources Board in July 2007, a post she held previously under Gov. Edmund H. Brown, Jr. from 1979 to 1983. At CARB she is responsible for implementing California's landmark greenhouse gas emissions legislation as well as setting air pollution standards for motor vehicles and fuels. Other well-known industry presenters include: Neil D. Berlant: Fund Manager of the PFW Water Fund; Rafael Coven: Managing Partner, Cleantech Indices(TM); Neal M. Dikeman: Jane Capital Partners LLC; Peter C. Fusaro: Chairman, Global Change Associates; Joshua Levine: Editor, ChangeWave Investing and ChangeWave MicroCap Investor (www.Changewave.com); J. Peter Lynch: Solar Expert; Yeves Perez: CEO & CGO, Eco Investment Club (http://www.ecoinvestmentclub.com); Matthew Sant: Partner, Irell & Manella LLP; Robert Wilder: J.D., Ph.D., WilderHill Clean Energy Index (www.wildershares.com); Jamie Wimberly: CEO of Distributed Energy Financial Group (DEFG, www.defgllc.com); and Brian C. Yerger: Research Analyst, Jesup & Lamont Securities. The in-depth online conference will be available March 21st, 2008, starting at 9:00 am EDT and archived 3-6 months thereafter. The conference format will consist of an audio presentation (average 15 minutes) with images in a slideshow presentation, in Flash format. The conference is free to online visitors with login registration. Investorideas.com has four investor and industry research portals within the renewable energy, water, environment and fuel cells sectors, featuring news, articles, leading experts and financial columnists, audio interviews and Podcasts with leaders and innovators in Greentech, investor conferences, blogs, and a comprehensive global directory of publicly traded stocks. A new three-wheeled car with a top speed of 156mph will revolutionise driving when it is launched next year, its makers claim. CAMBRIDGE, Mass.--February 5, 2008 Increasing public concerns about climate change -- and its potential economic and political security consequences -- are driving public policy and private investment to bring clean energy technologies from the fringes of the global energy industry to the center of activities as quickly as possible, a new analysis by Cambridge Energy Research Associates (CERA) has concluded. The result of this rising public and private momentum is an increase in worldwide clean energy investment that could surpass US$7 trillion by 2030 in cumulative real 2007 dollars, according to the CERA report Crossing the Divide: The Future of Clean Energy. 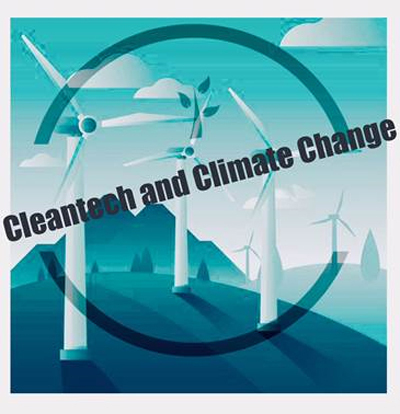 “The rapidly advancing new paradigms of climate change, energy security, and policy implementation and cooperation among the United States, the European Union, China and others will produce a broad range of opportunities, risks and pitfalls as the modern energy industry increasingly moves to adopt clean technologies that will be part of the alternative, low-carbon pathway to the energy future,” said Robert LaCount, head of CERA’s Climate Change and Clean Energy Group. CERA’s analysis used a scenarios framework to assess the winners and losers among various clean energy technologies and help define key risks and opportunities as companies seek to place their technology bets. The analysis addressed new and conventional energy technologies that can provide energy with a minimal carbon footprint and facilitate greater energy security. These technologies include biofuels, renewable power technologies, carbon capture and storage, nuclear and hydropower. While CERA’s scenarios provide widely different outcomes, advances occur in at least some clean energy technologies across all three scenarios. In the Launch Pad scenario, strong energy prices, growing public pressure to control CO2 emissions, and a stable investment environment coalesce to drive the development and adoption of a wide range of clean energy technologies. Renewable power capacity grows from three to 16 percent of global capacity and biofuels grow from less than two percent to 16 percent of the total road transportation fuels market. In contrast to Launch Pad’s broad-based advancement of clean energy, the Global Fissures scenario highlights how weaker global economic growth coupled with increasing global tensions and political insecurity could lead to an uneven outlook for clean energy technologies. In the Global Fissures scenario, renewable power capacity grows to seven percent of the global power mix, but nuclear power experiences little growth and carbon capture and storage technology fails to develop commercially by 2030. The Asian Phoenix scenario describes a world where the global balance of geopolitical and economic power shifts to Asia, expanding Asia’s role as both consumer and exporter of clean energy technologies. Although concerns over climate change influence political agendas, a global patchwork of uncoordinated policies result in inconsistent government support programs leading to periods of fits and starts for private investment flows, and limiting technological and commercial breakthroughs. Renewable power grows to 10 percent of global capacity and biofuels capture seven percent of the market for road transportation fuels. "Crossing the Divide and the CERA scenarios highlight that the future of clean energy can take several paths," said Lawrence Makovich, CERA vice president and senior advisor. "This demonstrates how important not only technology, but also well-crafted energy policy are to shaping the energy future." Cambridge Energy Research Associates (CERA), an IHS company (NYSE:IHS - News), is a leading advisor to energy companies, consumers, financial institutions, technology providers, and governments. CERA (www.cera.com) delivers strategic knowledge and independent analysis on energy markets, geopolitics, industry trends, and strategy. CERA is based in Cambridge, Massachusetts, and has offices in Beijing, Calgary, Mexico City, Moscow, Paris, Rio de Janeiro, San Francisco and Washington, D.C.
IHS (NYSE: IHS - News) is a leading global source of critical information and insight for customers in a broad range of industries. Our customer product and service solutions span four major areas of information: energy, product lifecycle management, environmental and security. By focusing on our customers first, we deliver data and expertise that enable innovative and successful decision-making. Customers range from governments and multinational companies to smaller companies and technical professionals in more than 180 countries. IHS has been in business since 1959 and employs more than 3,000 people in 35 locations around the world. © 2008, IHS is a registered trademark of IHS Inc. CERA is a registered trademark of Cambridge Energy Research Associates, Inc. Copyright ©2008 IHS Inc. All rights reserved. Who says it’s not easy being green? …. Al Gore, known to the world as an advocate of a greener world, leading the charge on global warming should have a lot more capital in the future to impact change. Current Media, a media company he founded has filed a $100 million S1 IPO filing with the SEC . We believe there is a significant gap between what is being delivered by traditional sources of TV and what is demanded by young adults. Young adults need and want news and information about what is going on in their world; however, they have not had a news and information source on TV that speaks to them. Young adults increasingly are turning to other platforms, especially the Internet, for news and information. We provide a variety of renewable and green content through news, articles, audio, research reports and our stock directories. SANTA ROSA, CA., Feb 1, 2008 - ZAP (OTCBB: ZAAP) added six new electric car dealers at its first dealer sales and service training of 2008 yesterday, collecting signed purchase orders totaling 614 Xebra sedans and trucks. The signed, non-cancelable dealer purchase order agreements were for a mixture of ZAP Xebra electric sedans and trucks. The orders also include the Zapino, ZAPPY3 PRO, ZAPPY3 EZ and the ZAP Mid-Sized ATV. Overall, yesterday's purchase orders including all the different vehicles total $5,127,850. Dealers are expected to take delivery of a minimum of ten cars a month over the next twelve months. ZAP CEO Steve Schneider expects more dealers to join its distribution network over the next few weeks, which now totals 54 locations throughout the United States with a goal to establish 100 dealers by the end of the year. The Santa Rosa, California-based Company will be exhibiting at the industry's largest dealer conference for auto dealers, NADA (http://www.nada.org), February 9-12, 2008 in San Francisco. For the first time, ZAP CEO Steve Schneider gave a presentation to dealers about plans for the joint venture with China Youngman to make freeway capable electric and hybrid vehicles. Last week, joint venture officials stated they believe the highway capable ZAP Alias(TM) electric vehicle can go into production by the second quarter of 2009 with other vehicles being planned as well. Schneider promised that dealers who do well selling the Xebra will qualify for the joint venture's highway capable electric cars and other vehicles being planned. "We are looking for dealers who want to take action today," said Schneider. "The technology for electric cars is coming faster than everyone thinks. We will be working very hard this year to expand and refine our dealer network for the more advanced vehicles planned for 2009. We have restructured our distribution concept to offer an incentive for dealers who can tap into the many vertical markets opening up for electric vehicles and to be able to profit from them right away. Today's Xebra is the VW Bug of electric cars; it's basic and cost-effective. Companies like UPS, Coke and others are finding ways to incorporate these environmentally friendly vehicles into their bottom line savings and with today's economy the demand can only grow." ZAP said the dealer training yesterday was the largest to date, with 19 dealers and entrepreneurs represented. Every month, ZAP holds a dealer sales and service seminar for existing dealers, their staff, as well as prospective dealers and entrepreneurs evaluating the business opportunity. ZAP spends a full day with dealers talking about the Company, the products and the market along with a technical course for electric car mechanics. ZAP invites potential international distributors to its training seminars and two attended from Australia and Israel. Four of the new ZAP dealers are from California. One is from Minnesota and the other from Pennsylvania. Those interested in the Xebra electric car, truck or any of ZAP's other electric vehicles can request a test drive by inquiring at http://www.zapworld.com in the 'Contact Us' section or by calling 707-525-8658. ZAP has been a leader in advanced transportation technologies since 1994, delivering over 100,000 vehicles to consumers in more than 75 countries. At the forefront of fuel-efficient transportation with new technologies including energy efficient gas systems, hydrogen, electric, fuel cell, ethanol, hybrid and other innovative power systems, ZAP has a joint venture to manufacture electric and hybrid vehicles with Youngman Automotive Group, one of China's leading manufacturers of buses and trucks. ZAP is developing a high-performance crossover SUV electric car concept called ZAP-X engineered by Lotus Engineering. ZAP is also developing a new generation of vehicles using advanced nanotech batteries with Advanced Battery Technologies. The Company recently announced a strategic partnership with Dubai-based Al Yousuf Group to expand its international vehicle distribution. ZAP also makes an innovative, new portable energy technology that manages power for mobile electronics from cell phones to laptops. For product, dealer and investor information, visit http://www.zapworld.com. Want to contribute Green Biz Articles and Content? MINNEAPOLIS, Jan. 31-- Piper Jaffray & Co. will host its third annual Clean Technology and Renewables Conference Feb. 20, 2008 in New York City. The conference will provide insight on upcoming technological advancements and cost improvements from leading solar, biofuels and other clean technology companies operating across the globe.